Saturday, November 10, 2018 at 8 p.m. 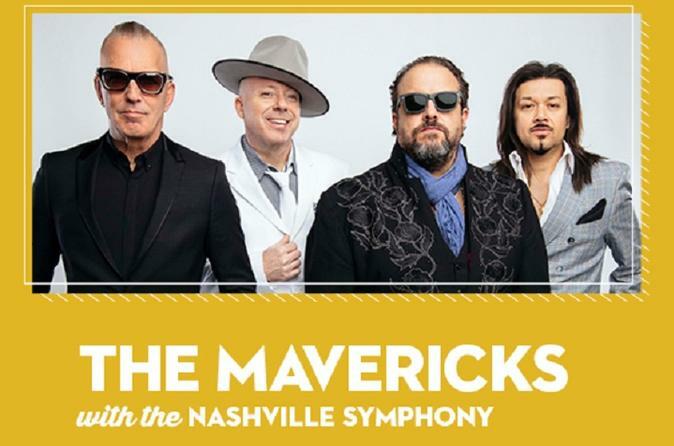 True to their name, The Mavericks have forged a path all their own, blending Cuban grooves, vintage country, top-notch songwriting and crooner Raul Malo’s stunning vocals. These GRAMMY®-winning artists join your Nashville Symphony for their first-ever orchestra performance. Get ready for a night of dancing and fun, as the orchestra brings a whole new dimension to classic hits like “O What a Thrill,” “Here Comes the Rain” and “All You Ever Do Is Bring Me Down,” along with fresh material from The Mavericks' latest, Brand New Day.